A FLEX alumnus from the 2010/11 school year is making a name for himself in his native Armenia! Shahen, who lived with the Knauth family in PA, was recently featured in The Bradley Herald, a website for FLEX alumni. 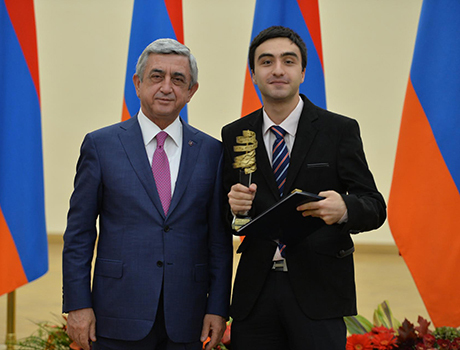 Shahen developed an app called “Triip” while working at an IT startup company—which was then named the IT Startup of the Year in Armenia! Shahen was also honored with the Presidential Education Award in the IT Sphere.